I am partial to a Fino del Puerto and this is a classic example. Pavon is the famous fino brand of Caballero and the name is plastered over the wall of a bodega in the heart of Puerto de Santa Maria (I walked past it a couple of times when I was down there in March). Although it is now under the same ownership as Lustau (also part of the Caballero group), this comes from a different solera to the stunning Lustau 3 en rama Fino del Puerto and to that of the also brilliant Fino del Puerto from the almacenistas range. It must be said the ficha isn’t all that informative but according to this typically excellent note on Sherrynotes this has around four years under flor. 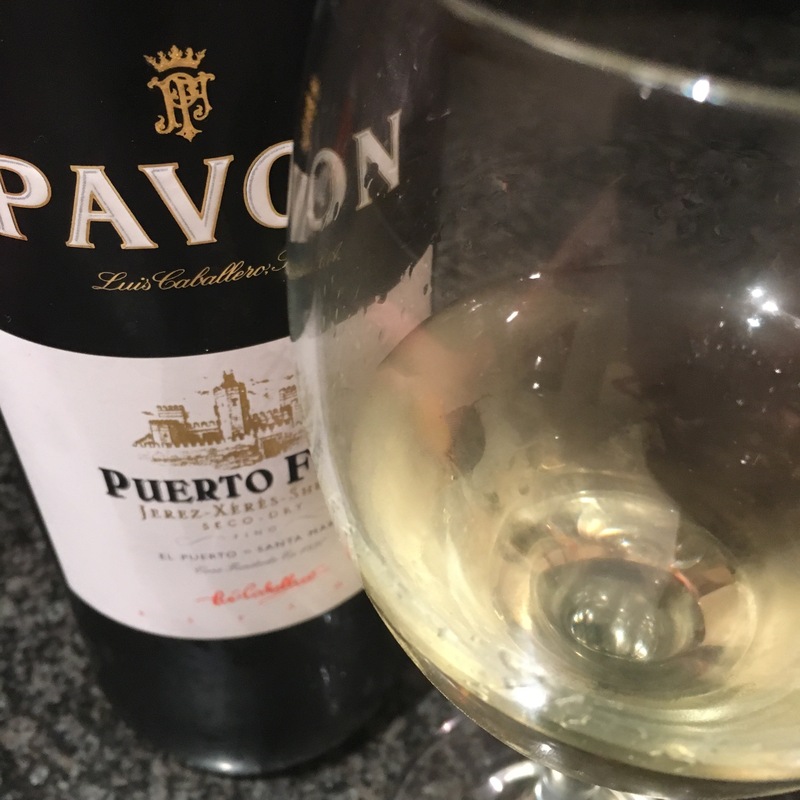 As Sherrynotes points out, you don’t see it around all that often but to my surprise I found it in the supermarket this morning and, with no sherry on the horizon for the next couple of days, thought I ought to seize the chance. It is a pale gold in colour. On the nose it is all seawater and minerals, maybe a bit of almond in there too. On the palate it is bulky and voluminous: seawater like saltiness, although not really sharp or zingy on the tongue. Mineral, pebbly flavours to it and bitter almonds, getting more bitter as it finishes. Very tasty, just quite challenging and a bit heavy: just lacking a bit of definition and lightness.